Our solutions work. That’s why hard working people all across South Florida use them to avoid traffic, save on gas and make commuting a whole lot easier. 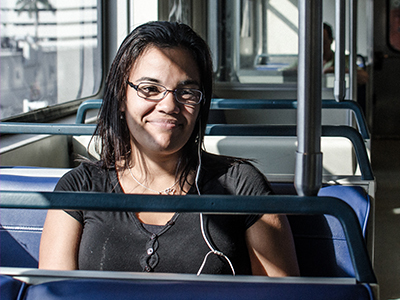 Below, you’ll find a few stories from real commuters. Check them out and learn why South Florida Commuter Services has the right solution for you. We want to hear all about your real solutions to avoiding traffic, saving on gas and how you make your daily commute easier. 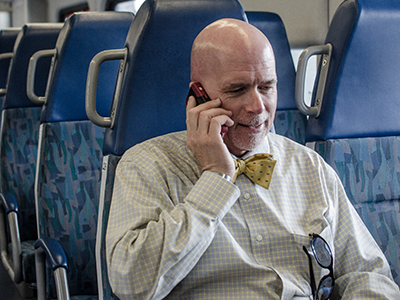 Email us at RealCommuters@1800234ride.com to tell us about your commute, and don’t forget to include a photo. 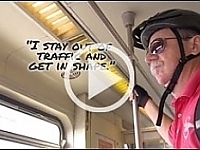 You might just be highlighted as our next Real Commuter with Real Solutions! 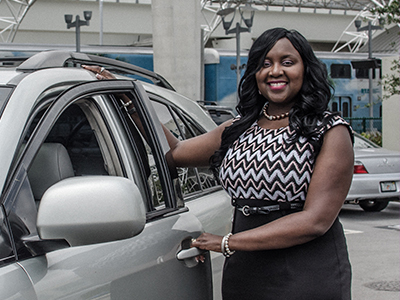 Marjorie is one of four friends and coworkers who carpool from North Broward to Miami International Airport. Each morning, the group meets in North Broward to begin their commute. The advantages are tremendous. For starters, they get to take the less-congested HOV lanes, which saves them a lot of time. Then, they hop on the I-95 Express Lanes and split the tolls four ways, making it highly affordable. Plus, they share gas costs and dramatically reduce the wear and tear on their cars. “For us it’s a win/win in terms of gas, tolls and time. Plus, we’re helping the environment with three fewer cars on the road each day. 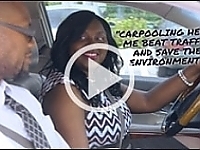 We’ve been doing it for three years and recently heard about the Carpool Incentive Program. We’re definitely signing up to earn monthly cash rewards,” adds Marjorie. Michelle has been taking the 595 Express Bus, since it began running a few years back. She says she loves the opportunity to get a head start on the day’s work or to download books to read during her commute. “I’m busy most of the day. Now I have time to unwind with a great book on the way to work. I truly love it,” says Michelle. For seven years Dave has incorporated his love of biking into his daily commute between Hollywood and Miami. Dave adds that he never has to fight for a parking space in the busy Miami area where he works. He just parks his bike in his office for the ultimate in hassle-free commuting. Siham lives down in Homestead and commutes every day to Miami. However, now, instead of battling traffic, she catches the bus to the Metro Rail Station. From there, it’s a straight shot to the hospital. “I don’t have to worry about traffic or road rage. And who wouldn’t want someone picking you up and dropping you off every day? I save a ton on gas and put less wear and tear on my car,” adds Siham. Judy is no stranger to the benefits of public transportation. From 2003 to 2006, she was part of a vanpool that she “loved” because it helped her save on gas and avoid the stress of bumper-to-bumper traffic each day. Since then, Judy’s life has changed quite a bit, however, her appreciation for public transportation hasn’t wavered. 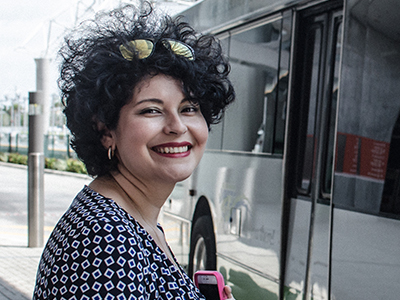 These days, she uses the Metrorail, MetroMover and a bus to commute between her home in Miami and her job on Miami Beach. “It’s just great. There’s less wear and tear on my automobile and I have the chance to read while on the way to work,” she states. 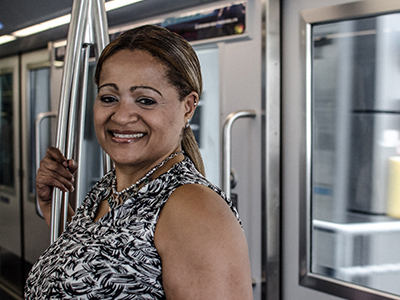 Judy doesn’t know exactly how much she has saved over the years by using public transportation. However, after more than a decade, it’s certainly a substantial sum. There’s a Metrorail station near Manuel’s home. 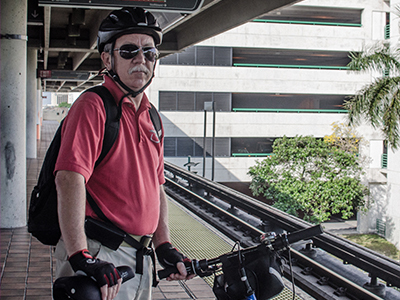 So, rather than battle traffic each day, he walks or hops on his bike to the train for a stress-free ride to his workplace in Miami. “I’ve been doing this for about four years. In between train rides, I walk about three miles a day and that acts as my daily gym. It’s perfect,” says Manuel.